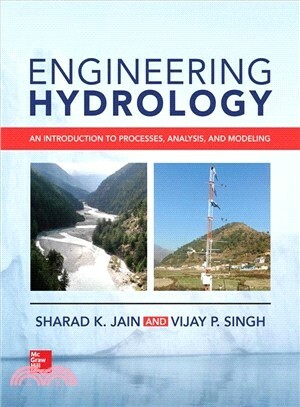 This comprehensive engineering textbook offers a thorough overview of all aspects of hydrology. It combines detailed coverage of scientific principles with the latest real-world applications and technologies. The book fully prepares you to effectively manage water resources. Engineering Hydrology: An Introduction to Processes, Analysis, and Modeling follows a logical progression that builds upon foundational concepts with modern hydrologic techniques. Processes such as precipitation, evapotranspiration, soil infiltration, and streamflow are explained along with current techniques for modeling and analyzing data. Practice problems throughout help reinforce important concepts. Sharad K. Jain, Ph.D. is head of the Water Resources Systems Division at the National Institute of Hydrology in Roorkee, India. He has published 215 journal papers and served as author or editor for 9 books. Vijay P. Singh, Ph.D. is Distinguished Professor & Chair of Water in the Department of Biological and Agricultural Engineering at Texas A&M University. Dr. Singh has published nearly 800 journal articles and has served as author or editor for over 75 books, including the second edition of Chow’s Handbook of Applied Hydrology.